INVESTORS PACKAGE OF THE NORTHERNAIRE RESORT AND SPA, LLC. INCLUDES 39 VILLA LOTS WITH BLACKTOP, SEWER AND WATER TO HALF. 24 CONDO LOTS COMPRISING THE SOUTH LODGE. THREE . . .
INVESTOR BUILDERS PACKAGE OF THE NORTHERNAIRE RESORT &AMP; SPA. INCLUDES A TOTAL OF 63 UNIT LOTS. 24 ARE CONDO LOTS COMPRISING THE FUTURE SOUTH LODGE AND THE REMAINING . . .
ONE-OF�A KIND PROPERTY FOR PRIVATE PARTY OWNERSHIP OR DEVELOPMENT OPPORTUNITY. 62 ACRES OF PEACEFUL, PRIVATE WOODED LAND AND 1,700 FEET OF WATER FRONTAGE ON FULL . . . THIS IS ONCE IN A LIFETIME OPPORTUNITY! BEAUTIFUL 446 +/- WOODED ACRES WITH OVER 1/2 MILE OF FRONTAGE ON THE PESHTIGO RIVER! KAYAK DOWN THE FAMOUS WHITEWATERS OF THE . . .
LIKE FINDING A RARE GEM BEST DESCRIBES THIS RARE FIND ON THE MINOCQUA CHAIN OF LAKES! NOW AVAILABLE IS THIS ONCE IN A LIFETIME KING OF LAKES PARCEL. LOCATED ON A . . . THIS 544 +/- ACRE PIECE OF LAND IS LOCATED IN THE TOWN OF LANGLADE IN THE COUNTY OF LANGLADE, WISCONSIN. THIS BEAUTIFUL PIECE OF LAND IS PERFECT FOR HUNTING AND IS . . .
LARGE PARCELS ON CHAINS OF LAKES ARE ALL BUT GONE. HERE IS ONE OF LAST LARGER PARCELS YOU WILL SEE. THE PARCEL HAS 81 ACRES, SOME OF THE LAND IS CLEARED AND SOME OF IT . . .
ONE OF A KIND....UNTOUCHED PRIVATE LAKE WITH CRYSTAL CLEAR WATER, GET READY FOR YOUR GO-TO NORTHWOODS HIDEAWAY. THIS 200 ACRE SLICE OF HEAVEN COMES WITH ITS VERY OWN . . . THIS 1,151 ACRE PARCEL SITS JUST EAST OF HWY. 51 IN LINCOLN COUNTY BETWEEN TOMAHAWK, RHINELANDER AND MINOCQUA. THERE IS ACCESS ON BOTH THE NORTH AND SOUTH SIDES OF HWY. . . . LOCATION, LOCATION, LOCATION! GREAT INVESTMENT PROPERTY! 63.24 ACRES AVAILABLE! PRESENTLY CROP LAND AND PARTLY WOODED, BORDERS OTHER DEVELOPMENTS IN THE AREA! WOULD BE . . . HERE'S THE OPPORTUNITY YOU'VE BEEN WAITING FOR ON TROUT LAKE. THIS WATERS-EDGE LOT HAS TOE-WIGGLING SAND FRONTAGE AND A LEVEL APPROACH TO THE WATER. IT FEATURES BIG . . . THIS 395 +/- ACRE PIECE OF LAND IS LOCATED IN THE TOWN OF LANGLADE, IN LANGLADE, WISCONSIN. THIS BEAUTIFUL PIECE OF LAND IS FULL OF ROLLING HILLS AND PERFECT FOR . . .
LAND OF THE GIANTS!!! THE FAMOUS HOLIDAY ACRES BUCK ONCE ROAMED THESE WOODS AND NOW HIS DROP TINE DESCENDANTS REMAIN. THE OUTDOORSMAN'S PARADISE DESCRIBES THIS 333+/- . . . COURTESY: CENTURY 21 BURKETT &AMP; ASSOC. CALLING ALL INVESTORS! 2.5 BUILDABLE COMMERCIAL ACRES IN ONE OF THE MOSTDESIRABLE AREAS IN MARINETTE!GREAT LOCATION! HIGH TRAFFIC AND ENORMOUS VISIBILITY!CLOSE TO THE . . .
400+/- ACRES OF PROFESSIONALLY MANAGED HARDWOOD TIMBER, IN THE HEART OF WISCONSINS NORTHWOODS. THIS PROPERTY FEATURES A WONDERFUL 24X28 INSULATED CABIN WITH STEEL SIDING . . .
ONE OF THE LAST REMAINING LARGE COMMERCIAL TRACTS LEFT IN THE MINOCQUA/WOODRUFF MAIN HIGHWAY CORRIDORS. PAVED ROAD ACCESS TO A LEVEL 24.5 ACRES ZONED COMMERCIAL. THIS IS . . .
ARE YOU LOOKING FOR A GREAT COMMERCIAL OPPORTUNITY? THIS WOODED VACANT LAND PARCEL IS ZONED COMMERCIAL AND HAS 20 +/- ACRES RIGHT OFF OF CHIPPEWA DR. IN THE TOWNSHIP OF . . . THIS 354 +/- ACRE PIECE OF LAND IS LOCATED IN THE TOWN OF WOLF RIVER IN THE COUNTY OF LANGLADE, WISCONSIN. THIS LAND IS PERFECT FOR HUNTING AND IS CURRENTLY ENROLLED IN . . .
HIGH TRAFFIC COMMERCIAL SITE!! 19.96 ACRES WITH HIGH VISIBILITY AND EASY ON/OFF HIGHWAY ACCESS. LOCATED BETWEEN MARINETTE &AMP; PESHTIGO. CLOSE TO SHOPPING, HOTELS, . . .
UPPER BUCKATABON LAKE LOT - SELLER WILLING TO DIVIDE! UPPER BUCKATABON OPPORTUNITY! THIS VACANT, UNTOUCHED PARCEL HAS 566 FEET OF SANDY, GENTLY SLOPING FRONTAGE. LOCATED . . . ALMOST AN ENTIRE SECTION OF LAND WITH WILLOW RIVER FRONTAGE IN THE TOWNSHIP OF MINOCQUA FOR LESS THAT $1,000/ACRE! THIS PROPERTY IS APPROXIMATELY 68% PRODUCTIVE . . . THIS 277 ACRE PIECE HAS A BEAUTIFUL MIXTURE OF TIMBER AND ROLLING HILLS. IT HAS BEEN MANAGED FOR WHITETAIL DEER FOR 5 PLUS YEARS. IT HAS 2 LARGE FOOD PLOTS, PLANTED WITH . . .
VILAS COUNTY ACREAGE TRACT! GORGEOUS 354 ACRE PARCEL LOCATED ACROSS THE STREET FROM THE KENTUCK LAKE BOAT LANDING. MULTIPLE OPPORTUNITIES AVAILABLE; DEVELOPMENT . . .
A NORTHWOODS ADVENTURE AWAITS YOU! THIS IS A TRULY UNIQUE OPPORTUNITY FOR THE OUTDOORS ENTHUSIAST. LITERALLY EVERYTHING YOU NEED IS HERE WAITING FOR YOU. THE OWNER . . . THIS IS A LARGE SECLUDED TRACT THAT HAS BEEN MANAGED FOR TROPHY DEER HUNTING FOR MANY YEARS. THERE ARE TRAILS THROUGHOUT THE PROPERTY WITH ACCESS OFF POTATO RD (DEAD END . . .
RARE OPPORTUNITY TO OWN ALMOST AN ENTIRE SECTION OF LAND THAT ISN'T IN THE MIDDLE OF NOWHERE. THIS 580+/- ACRE PARCEL IS PRIMARILY HIGH GROUND AND CONSISTS OF A MIX OF . . .
PRISTINE WATER FRONTAGE ON LIMITED ACCESS LAKE. 2278+/-FT OF LAKE FRONTAGE WITH 100+/- ACRES OF TIMBERED LAND HOLDING DEER, BEAR, TURKEYS, GROUSE AND WATERFOWL ALONG . . .
11 PARCELS: 02232073639993, 02232073639992, 02232073639989, 02232073639987, 02232073639984, 02232073649994, 02232073639991,02232073639990, 02232073939986, . . .
HARD TO FIND 350 ACRES OF CONTIGUOUS HUNTING W/CABIN &AMP; POLE BUILDING! HAS SAND POINT WELL, CONV. SEPTIC SYSTEM, ELECTRICITY, APPROX. 10 AC. FOOD PLOTS, HIGH &AMP; . . . ACREAGE ON MULTIPLE LAKES - TRULY ONE OF THE MOST UNIQUE 200+ ACREAGE PARCELS AROUND! WITH PRIME FRONTAGE ON SQUIRREL, HASKELL &AMP; WHISPER LAKES, PLUS HASKELL CREEK, . . . IF YOUR LOOKING FOR DEER, GROUSE, TURKEY OR BEAR, LOOK NO FURTHER! 320 ACRES OF WOODED LAND WITH ROOM FOR FOOD PLOTS AND A CREEK ON A PART OF THE PROPERTY. HAS SMALL . . .
A HALF MILE OF ROAD FRONTAGE ON MOUNTAIN DRIVE PROVIDES EASY ACCESS TO THIS 440 ACRE PARCEL. THE GATED ENTRANCE IS ON THE EASTERN END OF THE ROAD FRONTAGE AND PROVIDES . . . THIS MAY BE A ONCE IN A LIFETIME CHANCE TO OWN THIS KIND OF ACREAGE RIGHT NEXT TO HIGH FALLS FLOWAGE. 134 ACRES OF HIGH LAND BORDERING THE PESHTIGO RIVER STATE FOREST! . . . HIGHLY VISIBLE FROM HIGHWAY 41! 12.740 ACRES LOCATED ON THE CORNER OF BROWN AND E FRONTAGE RD. WITH LOTS OF FRONTAGE ON E FRONTAGE AND BROWN RD. SO MUCH POTENTIAL IN A . . . THIS 133+/- ACRE PARCEL OF LAND IS LOCATED IN LINCOLN COUNTY WISCONSIN, IN THE TOWNSHIP OF HARRISON. WITH ENDLESS OPPORTUNITY, THIS LAND COULD DO JUST ABOUT ANYTHING . . . PRICED BELOW FAIR MARKET VALUE SITS THIS 61.85 ACRE VACANT LAND PARCEL WHICH INCLUDES PART OF YOUR OWN 18 ACRE -+, 18 FOOT DEEP PRIVATE POND (LITTLE PINE) WITH PAN &AMP; . . . THIS 229 +/- ACRE PIECE OF LAND IS LOCATED IN THE TOWN OF PINE LAKE IN THE COUNTY OF ONEIDA, WISCONSIN. THIS PIECE OF LAND IS PERFECT FOR EVERYTHING THE NORTHWOODS HAS . . . IDEAL RETAIL VACANT LAND FOR DEVELOPMENT. ZONED COMMERCIAL IN TIF DISTRICT. LOCATED AT MAJOR INTERSECTION OF HWY-51 AND HWY-86, NEXT TO RODEWAY INN HOTEL. HIGH . . .
140 ACRES (PER ONEIDA CO. TAX ROLE) OF BEAUTIFUL LAND SURROUNDING BOX LAKE, PERCH LAKE, AN UNNAMED LAKE AND FRONTAGE ON CLEAR AND BASS LAKE. THE LAND IS ROLLING WITH A . . .
FIRST TIME OFFERED: 13.79 +/- ACRE PARCEL WITH 699' +/- FRONTAGE ON BEAUTIFUL 634 ACRE BUCKSKIN LAKE! ALL SHORELINE FACES WEST FOR THE MOST AMAZING VIEWS &AMP; SUNSETS! . . . OPPORTUNITY TO OWN A 2+ ACRE LOT ON THE BIG ST. GERMAIN CHAIN! 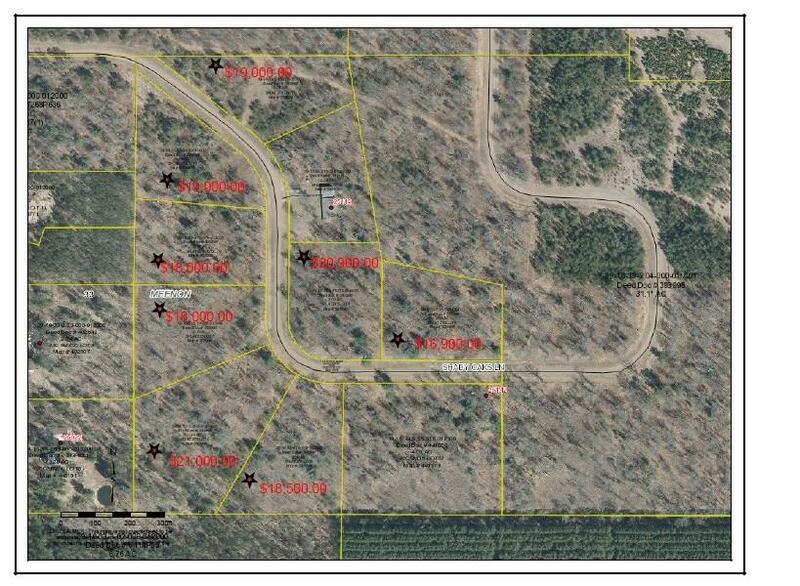 BRAND NEW EAGLE WATCH SUBDIVISION LOT OFFERS BUILDABLE PROPERTY W/194' ON BIG ST. GERMAIN LAKE! . . .
780 FT OF RIVER FRONTAGE AND 20 ACRES! !OWN YOUR OWN LARGE PIECE OF THE FABULOUS WISCONSIN RIVER. OVERLOOK ITS FANTASTIC SCENERY, PARK LIKE SETTING, BREATHTAKING VIEWS. . . .
A RARE FIND! 15 ACRES AND 799 FEET OF WATER FRONTAGE ON 259 ACRE HANCOCK LAKE. 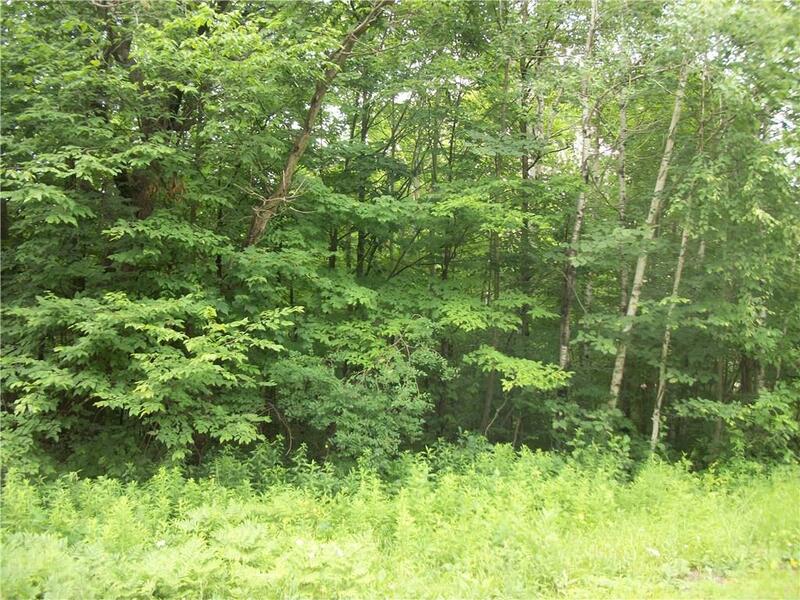 CENTRALLY LOCATED BETWEEN MINOCQUA, TOMAHAWK AND RHINELANDER THIS WOODED ACREAGE PARCEL IS . . . THIS UNIQUE PROPERTY HAS A BEAUTIFUL RIDGE THAT RUNS ALONG THE WESTERN BORDER PROVIDING A VIEW NOT OFTEN ASSOCIATED WITH PROPERTIES IN NORTHERN WISCONSIN. THE HEAVILY . . .
RARE FIND! WOODED 195 ACRES BORDERING PUBLIC LAND- GREAT LOCATION FOR HUNTING AND/OR TO BUILD YOUR DREAM HOME OR COTTAGE AS THERE IS EASY ACCESS TO 141, YET LOCATED ON A . . .
DESIRED LAKEFRONT PROPERTY. LEVEL TO WATER BUT COULD BUILD WALKOUT BASEMENT, ON BIG ST GERMAIN CHAIN OF 3 LAKES! OPPORTUNITY TO OWN PARCEL ON CUL DE SAC, OFFERING BIG . . . THE WELL, SEPTIC AND A HEATED PLACE TO STORE ALL YOUR TOYS, WATCH THE GAME, PLAY A LITTLE BASKETBALL OR JUST HIDE OUT AWAITS YOU HERE. 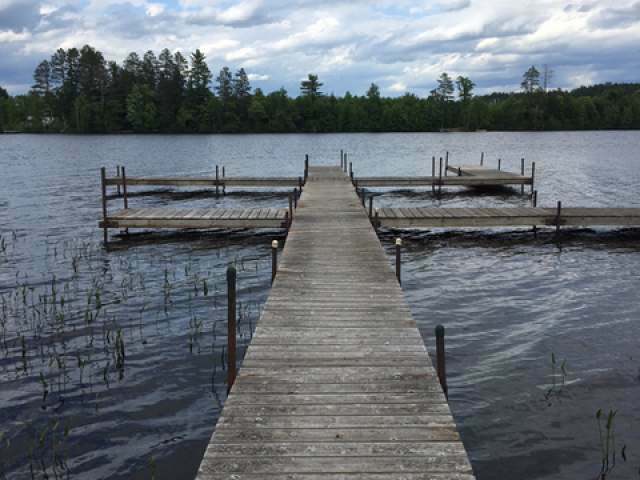 BUILDING IS 60X90 THE LOT HAS A . . .
A BEAUTIFUL KNOLL TO BUILD YOUR COTTAGE/OR HOME OVER LOOKING BASS LAKE, PART OF THIS ONE OF A KIND 140 ACRE PARCEL WITH FRONTAGE ON BOTH LAKE ALICE AND 34 ACRE BASS . . .
AS I TOURED THIS PROPERTY ALL I COULD THINK ABOUT WAS THE PRIVACY, THE BEAUTY, THE RIVER FLOWING, THE WILDLIFE ABUNDANCE AND THE ENDLESS POSSIBILITIES WITH THE GROOMED . . . THIS 320+/- ACRE PARCEL HAS ROAD FRONTAGE ON HWY. 107 AND CONSISTS OF ABOUT 70% PRODUCTIVE TIMBERLAND AND 30% BLACK SPRUCE SWAMP. THERE ARE MANY EXISTING WOODS ROADS . . . UNPRECEDENTED OPPORTUNITY TO OWN A 1.6 ACRE LOT WITH FRONTAGE ON TWO LAKES ON THE BIG ST. GERMAIN CHAIN! BRAND NEW EAGLE WATCH SUBDIVISION LOT OFFERS BUILDABLE PROPERTY . . .
12.13 ACRES LOCATED ON STATE HWY 45 ON THE BUSY NORTH END OF THE CITY OF ANTIGO, RIGHT NEXT TO CULVER'S RESTAURANT. 273' OF FRONTAGE ON BUSY HWY 45. THERE ARE 3 PARCELS . . .
OWN A LARGE TRACT OF PROPERTY ONLY MINUTES FROM LAND O' LAKES, WI! THIS PREMIUM SPOT OFFERS 160 ACRES OF HEAVILY WOODED LAND W/ AN EXCELLENT TRAIL SYSTEM THROUGHOUT. IT . . .